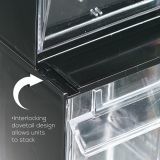 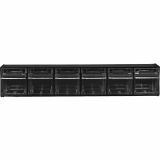 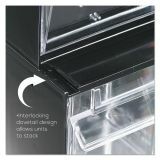 deflecto Tilt Bin Interlocking 6-Bin Organizer, 23 5/8 x 3 5/8 x 4 1/2, Black/Clear - Modular storage system features a unique interlocking design, allowing you to mix and match sizes with other Deflecto Interlocking Tilt Bins. 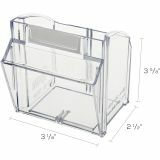 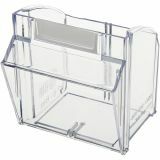 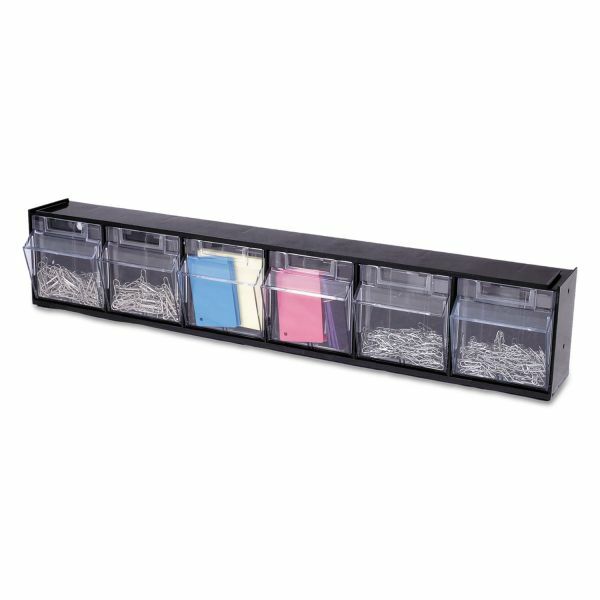 Clear, removable bins keep supplies visible and tilt out effortlessly with a gentle tug on the clear, full-width handle on each of the six bins. 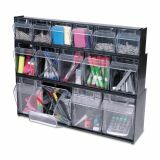 They are great for office supplies, craft storage, sewing materials and school items. 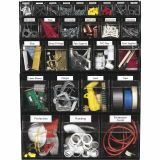 Interlocking Tilt Bin storage system includes mounting hardware and bin labels. 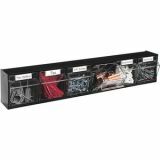 Use Deflecto Metal Partition Brackets (sold separately) for mounting the storage system on cubicle walls. 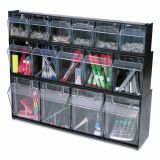 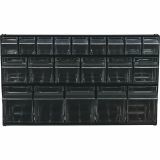 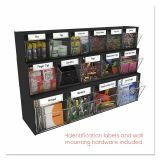 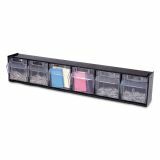 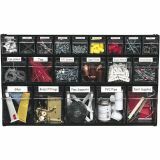 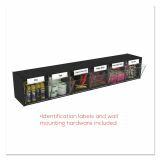 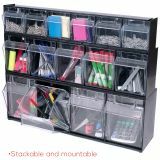 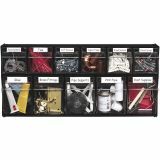 Perfect for organizing office supplies, break rooms, maintenance closets and more.